Covent Garden, along with a lot of the West End, is deeply concerned about the prospect of the Night Tube as currently proposed. Transport for London (TfL) is planning to introduce 24 hour operation of underground trains at the weekends across London. Covent Garden Community Association, and other amenity societies across London, recognise that the service is likely to bring some benefits to our city, and we are not against it. But we are are asking TfL to think the issues through far more thoroughly before they go ahead. Plans need to be in place for the areas around all the open stations, to deal with potential problems caused by noisy people on the streets throughout the night. Currently the Metropolitan police have no plans to deal with any additional issues that arise on the streets, and London Transport Police will only deal with what happens within stations or on trains. Also, here in Covent Garden, we are keen for the station which is in the centre of our patch not to be included in the project. The area around Covent Garden station is very busy during the day, but after Midnight it is almost silent (see video clips below). This allows people to sleep in what is a much more densely residential spot than outsiders imagine. Within a few metres of the station there are more than 200 flats, and more are due to be built above and near to the station. In all the surrounding streets even more people live above the shops, in the wonderful mix of social and private housing that makes our community so long-established and special. Click TfL 24 hour tube report to read the detailed report justifying the 24 hour tube. It includes some good points that mean we are not opposed to a limited all-night service that is impeccably managed. But it also contains what we believe are some rather specious arguments to back up the desire of the mayor’s office to push ahead with this project before it has been fully thought-through. We should point out that even one person exiting from Covent Garden in the middle of the night is more than we currently have, and would contribute to the ‘Cumulative Impact’ in a Special Policy Area such as ours. This would not be allowed by either of our local authorities (Westminster and Camden) on any count if a business were applying for planning permission or applying for a licence. The fact that TfL is technically outside either of these regimes makes no difference to those affected above ground, and we believe that they should behave with the same care and attention as businesses operating within those regimes. The idea of not one person, but several hundred people coming and going in these silent streets is truly horrific for the residents living around the station and nearby. The above figures for entries, but including exits they are projecting 4,000 people coming and going each night from Covent Garden station alone – this is an average of 700 people per hour between 12.30am and 6am! Even if the eventual figures were to be one quarter of that, it would be a serious matter for our community. We believe that this proposal poses a great threat to a community already under pressure. People leaving late-night venues in the West End after Midnight currently leave in the direction of night buses unless they are picked up by cab. The night buses run round the edge of Covent Garden – along the Strand, Kingsway, Holborn/New Oxford Street and Charing Cross Road. No public transport runs through Covent Garden, and so very few people walk through our neighbourhood after Midnight. Of the dozens of licensed premises in Covent Garden, some restaurants and a few clubs operate after Midnight, and only a handful of those operate after 1am. Because there is no 24 hour tube most people leave these venues before Midnight anyway, and those who do stay later disperse outwards, away from the centre of the neighbourhood and away from Covent Garden station. Once the 24 hour tube is operating, we believe that more people will stay on at these venues and, when they leave, they will go to Covent Garden station, past the bedrooms of sleeping families who currently rely on peace between Midnight and 6am. We believe that as well as people leaving, others will arrive at Covent Garden looking for a ‘good time’ after they have been drinking in other parts of London where the pubs shut by Midnight. There is a perception that Covent Garden is a late-night area, whereas of course we know that it is not. It is a family, evening area, full of theatres and restaurants. The people looking for late-night entertainment will come up at the station and be disappointed. They will have to walk off to venues in Leicester Square and Soho, past people’s homes. It is also likely that touts from the clubs in those areas will loiter by Covent Garden station to sell their venues to people as they come out, as they do at Leicester Square station. Pedicabs will continue to plague the area all night. Currently the authorities are powerless to deal with the noise and obstruction from dozens of unlicensed pedicabs at Covent Garden during the day, but the prospect of it continuing all night is unbearable for local residents. A station that is open all night is likely to encourage the shops and cafes nearby to open all night to serve people who are coming and going. Although licensed premises are subject to a tough regime which tends to prevent them staying open late, shops and cafes are not. This will increase footfall and nuisance even further. Covent Garden station is served by lifts right next to the road where people live. People entering the station do not disperse downstairs straightaway as they would if there were escalators. Instead, a crowd gathers to wait for the next lift. Even a moderately lively bunch of people waiting in this way will send echoes along Long Acre long after all the air handling equipment has shut down in all the buildings and the neighbourhood has fallen silent. TfL has been unable to show us why any of the necessary journeys to and from Covent Garden station at night cannot be made using one of the stations very close by instead. These other stations are in areas that are already busy from night buses: Leicester Square, Charing Cross, Holborn and Tottenham Court Road. The rest of the journeys to and from Covent Garden station at night – those that by definition are ‘unnecessary’ – are only likely to harm our residents and put even more pressure on our community. We believe that it is therefore very reasonable to ask for Covent Garden station to remain closed at night. Many of these arguments also apply to Russell Square station, in a quiet area on the patch of our neighbours in Bloomsbury, with whom we are also campaigning through the West End Community Network. Why aren’t we campaigning for other stations to remain closed? Other stations in the centre of London are on major thoroughfares. Unfortunately these spots already suffer from noise and antisocial behaviour around existing modes of transport, notably night buses. We hope that the presence of the night tube in these locations may actually draw people away more quickly than now, and possibly improve the situation. Of course, we cannot be sure of our predictions. TfL admit that they can’t be sure of theirs either, but they have agreed to monitor the situation closely including running a full review after the first weekend of night operation. Night trains are an attractive alternative to sleeping rough for the growing unfortunate street homeless population. Communities further out of London are concerned about groups of people coming out of their stations in the early hours after a night ‘on the town’ when the surrounding streets are usually completely silent. People who live near to underground tunnels have constant noise and vibration during the day, but will now be disturbed all night. This affects basements, and also upper floors since vibration is carried through buildings. In the West End, buildings are affected that are over 150 metres away from tube lines. Please let us know if you are affected by this issue and would like to be involved or kept abreast of developments. Please also let us know if you have a view that differs from ours, and how you would suggest mitigating the problems that are likely to be caused if Covent Garden station were to remain open. Westminster council have kindly hosted meetings for us at which we made the case to TfL for the closure of Covent Garden station at night, as well as the case for a proper plan to manage the environs of those stations that will stay open. The Head of the Night Tube Programme and other senior managers listened to our concerns, and to the well-articulated concerns of senior council officers. TfL is considering the matter, but has not come up with any concrete proposals yet. We have asked the mayor’s office to ensure that something is done. A moving picture is worth a thousand moving words. Please click on what you would like to see. If you set your device volume at about half way then it will give a fair impression of actual noise levels. Covent Garden station is crazy in the evening, right? Right. Even with the station closed to entry at the moment, this is what it’s like on the Long Acre side and on the James Street side at 10.30pm on Friday night. It’s fun, and most of us love it. But it isn’t fun if it doesn’t stop. So, what about after Midnight? It’s pretty quiet. And thousands of residents bank on it being that way. This is what it’s like around Covent Garden station at 12.45am. Even on a fairly warm September Friday night, as usual there was not much going on. Some bored pedicab drivers hang around, two cars and a few pedestrians pass by. Another video clip at the same spot 2 minutes earlier shows 2 women laughing as they walk past residents’ windows – listen to how their voices echo, and imagine the same thing all night but with loads more people if the station is open 24 hours! ‘Odhams Walk’ estate can be seen a few metres from the station in these clips, with 103 flats and dozens of children sleeping there. The current shut-down at night is what makes family life possible in our vibrant neighbourhood. But it’s devastating for our community when long-term residents feel they have to move out just because visitors behave in an inconsiderate way, and this is what is happening in the face of the plans. This is Leicester Square station at 12.30am on the same Friday night. There’s lots of activity, and touts from the clubs in Soho gather newcomers as they arrive on the last trains. And after Leicester Square station closes, at 12.45am it’s not getting any quieter! It’s a very different story from Covent Garden station at the same time, even though it’s less than 300 yards away. The area immediately north of Covent Garden station, towards Seven Dials, is very quiet by 1am on a Friday night. There’s a bit of through traffic on Shelton Street, and a black cab at the Dial, but nothing else on Earlham Street or Neal Street North. Any sound spike is amplified in the narrow streets, flanked by the old brewery buildings and tall warehouses that local people saved from demolition in the early 1970s. Can you even hear someone putting out a bin bag? 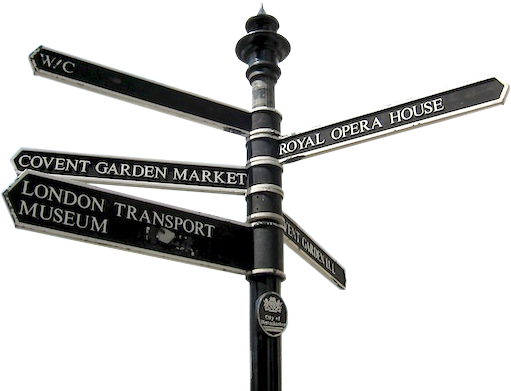 There are a few late-night venues, and all but one are located towards the edges of Covent Garden. Most customers leave before the last tube, but those who stay later make a lot of noise when they leave whether they like it or not, like the people outside this bar on Great Queen Street at 1.30am. People wake residents who live on the routes between the clubs and the night buses, but at least these routes are short because all the late venues are either near the Strand or near Kingsway. We don’t want the same disruption to happen to the greater numbers of people who live on the routes to the heart of Covent Garden where the station is, with more crowds of clubbers staying around later. If it does, we will have to apply for their licences to be reviewed so that they are no longer allowed to stay open late.